Karen Mell, Online Content Director at KCPT was part of the Beta group for testing Bento 3.0. Their station went from a Wordpress site to a rebuild in Bento 3.0. She shares her experience of working with mulitple brands in Bento 3.0. At Kansas City PBS, one of the things we looked forward to most in our Bento 3.0 site launch was streamlining our homepage updates with Bento’s built-in COVE/Merlin/PMP integration. Still, we had a lot of content from other sources that we had to fold into the mix. While building in Bento toward a July site relaunch I’ve found several ways to feature content from other sites and and platforms. If other sites provide an RSS feed, pop one into a Bento page using the RSS component. I’m using feeds from different tags to feature only content within a tag that aligns with the Bento page content. I am also using feeds to bring local and national content, such as Food, together on one page, with local eats and drinks stories from our digital news magazine alongside recipes from PBS Food, both via RSS feed. Video from YouTube or COVE can be dropped into a page in Bento, and I’ve used that feature to add related content to pages. It can be from any brand channel. Playlists can be used to feature an entire series. Blogs are newly added to Bento 3.0, and I think they’ll be useful for featuring different content from across areas of our site. It’s going to be easy to feature any blog on any page, to cross-promote sections of the site. Bento features an embed component, which I have used for a lot of different features from other sites and sources, including our donation forms, email sign- up, contact forms and our events calendar category widgets. We’ve addressed some of the styling on embedded content with a link to a separately hosted CSS file, which we place in the Bento header. We also use a paid Embedly account which allows us to remove Embedly branding on cards. These usually look nice, and I’ve been using them as an easy way to send visitors to a national program website, such as the MASTERPIECE or NOVA site, or one of our local sites or articles, from inside a page in Bento. We’re opting to use our pre-Bento events calendar solution, which requires Wordpress. 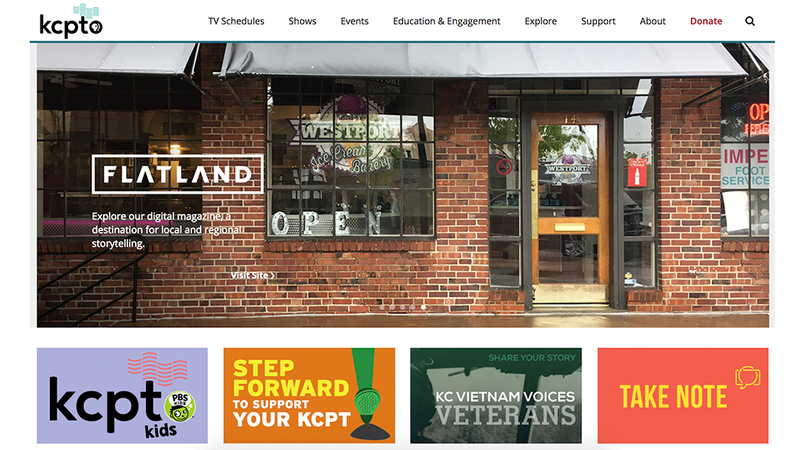 We opted to set up a separate site at events.kcpt.org (dedicated to events) and rebuild the Bento navigation on that site to create a seamless integration between the two. We will also be able to embed featured events over on our Bento site sections, featuring and feature events by category.